Young learners should have fun with English! The purpose of this program is to introduce participants to the theory and practice of teaching young learners in the EFL classroom. Participants will engage in enjoyable activities designed specifically for young learners, such as songs, chants, finger plays, and storytelling. In addition, participants will discuss approaches for teaching language within a meaningful context and share effective techniques for making language input comprehensible and encouraging student participation. By the end of the program, participants will be energized and ready to make their young learners have fun with. This framework provides a comprehensive set of progressive learning objectives for English. The objectives detail what the learner should know or what they should be able to do in English in each year of primary education. They provide a structure for teaching and learning and a reference against which learners' ability and understanding can be checked. The students will learn. Development and use of a higher level to the next level. Focus on the experience and expertise to be used for communication. In both forms of syntax, vocabulary, and conversation accurately. The process of learning to prepare for higher efficiency. General English conversation courses ideal for students who want to focus on how to speak English fluently and learn how to use grammar. 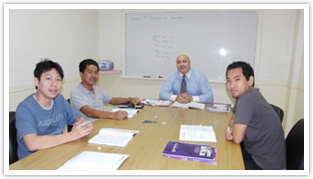 Students also learn principles of Basic English, teaching strategies and speaking naturally. To help students develop skills for speaking and pronunciation in the daily activities. Students will learn new vocabulary and develop the listening skills of qualified language teachers. In order to promote confidence to communicate in English you may choose to study. Both the study group (Group Class) or private school (Private). English conversation course, this is of course an international standard. Developed to meet the increasing importance of the English language in order to. Mediate work or to develop business contacts with foreigners. Skills training four language skills of listening, speaking, reading and writing vocabulary in a business context. Marketing, sales or other aspects and levels of education. Focus on dialogue to be used in everyday life and to communicate effectively in a business such as a E-mail,. The Present English etc. The course is designed to provide students with equality activists have Basic English. Primarily by focusing on the training courses that the students have compiled. The idea of the West and grammar is essential. To help develop the skills and expertise to write. At the end of the course students can apply the knowledge gained. To be used in a business or academic purposes as appropriate. 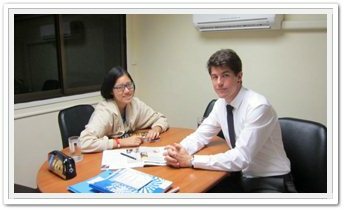 English Planet Institute, a research and development tragedy formulated TOEFL (iBT),IELTS and TOEIC continuously the modern curriculum. Program focuses instruction on skills required to perform extremely well in an English-speaking academic context across core subject areas generally encountered in a university setting. Programs may also include a more narrow focus on the more specific linguistic demands of a particular area of study, for example business subjects The test consists of Listening, Reading, Writing and Speaking. The foundation covers both English and practice tests. Students can schedule a convenient addition to English Planet. Also open to advice and suggestions. ESP English for specific purposes´ such as a part of ´English language teaching´ and to introduce various activities aimed at reading, vocabulary, speaking, language study and writing. We offer classes for other foreign languages such as Mandarin Chinese, Japanese, Arabic, French, German or any other language as well as language courses for foreigners. 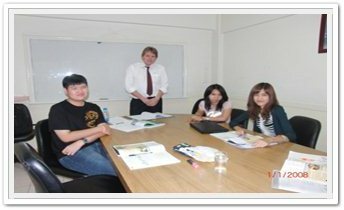 Thai training classes for foreigners and Intensive English Program. 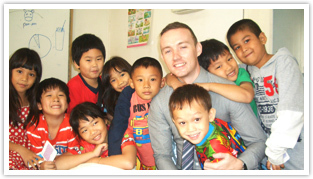 As a Bi-Lingual School International School we offer Study Tour / English Camp, both at home and abroad. Consulting services and training on the management of the English language. English Planet guides in the selection of courses in both the study group (Group Classes) or choose a private (Private Lessons) or a small private (Private Groups) Limited to 3 persons. In the course of this time students can personally learn at the school. We provide detailed instruction on every aspect and help in meeting the objectives of each student. This helps them to learn quickly and effectively. Powered by SGC Infotech Limited.